At first glance, this appears to be a photo mounting - but it isn't. 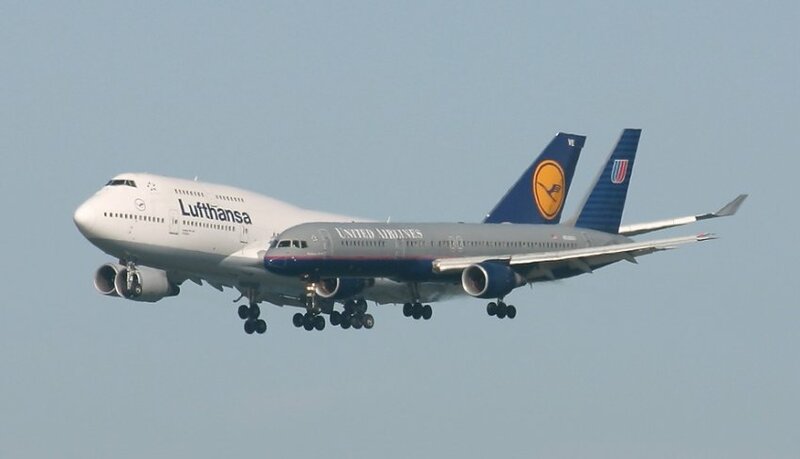 A Lufthansa 474-400 and a United Airlines 757-200 are on simultaneous landing on the parallel runways 28L and 28R at San Francisco. Real runway separation is 225 meters. Due to the Jumbo being three times larger than the 757, and being behind, gives us this fantastic optical illusion seemingly to fly too near together.